For over 32 years in spite of frail health and dire personal challenges, Olufunmilayo has remained committed to prison ministry and in the last 6 years, village outreaches. This is including other commitments to the church including serving as the Vice President of the council of Foursquare women. At 72, in spite of the fact that effectively rehabilitating past offenders is a dangerous endeavour and regardless of personal risks, come rain or shine, she weekly visits the prisons and afterwards stays in personal touch with the ex-convicts and their families till they are rehabilitated. Though Mama Olufunmilayo is a pensioner, out of her resources she has single-handedly empowered scores of past offenders converting society’s most hopeless into entrepreneurs, employers of labour and truly valuable members of society. 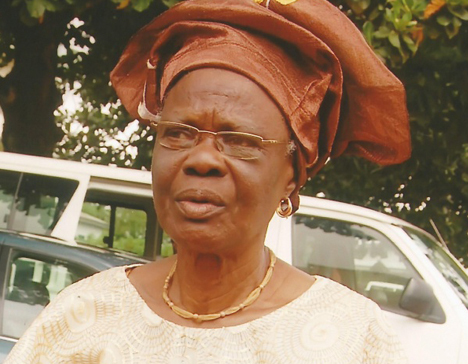 She has advocated for society’s change of attitude towards ex-offenders for over 30 years as a Professor of Criminology at the Obafemi Awolowo University. She has also, through the outreach program of the church village evangelism, assisted in reaching 89 villages around Ibadan weekly, providing counselling to the villagers as well as medical and other relief materials. She is passionate about the plight of women incarcerated with their innocent children and supports the mothers with babies PROF Mrs OLORUNTIMEHIN hope is that society’s attention be drawn to the inhumane conditions in Nigeria’s prisons, the denial of justice to the innocents and the vicarious suffering of innocent children locked up for their mothers’ crimes.